Garage sale Christ purchased for fifty cents. Somebody stole our neighbor’s Buddha statue. A hollow black plastic thing that sat about twelve inches tall on an old stump in their yard. Talk about bad karma. 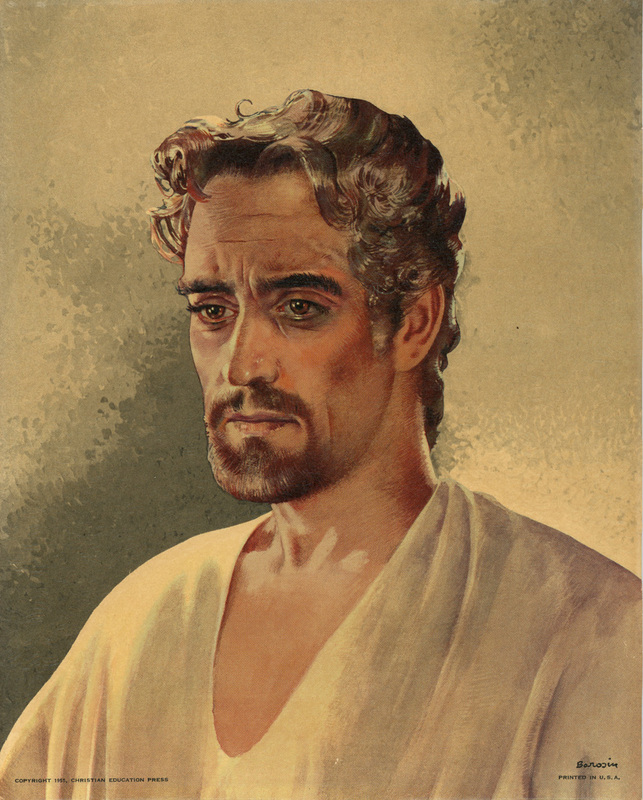 I grew up with Warner Sallman’s 1940 picture of Christ, one of 500 million reproductions of the image from the Chicago Offset Printing Company, so this garage sale Christ with short hair and mousse really struck me. We were out walking and stopped at an estate sale, one that had been going on for a couple days so everything was half price. This picture was hanging on the wall and it had a one dollar price tag on it. Small print at the bottom read “Christian Education Press 1955” and it was signed by Barosin. I looked it up and found the image was painted by famed Holocaust Survivor Jacob Barosin. I plan to give this to a friend.